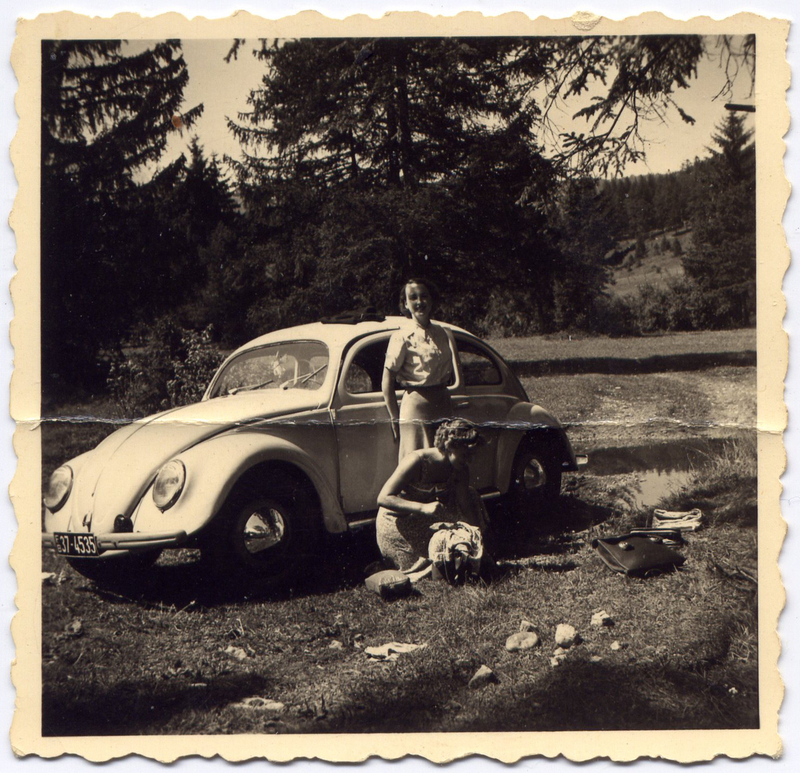 As Ethyl turned the VW bug down the dirt road, Bertha shuddered a little. Ethyl smiled at her city friend. They’d instantly connected at the school where both were studying to be receptionists. Ethyl had left the family farm in search of bigger and better things, and Bertha was just killing time until her fiancé, Jasper, got back from the war. The VW blew up a cloud of dust as Ethyl drove it a bit manically around a turn, the wheels scrambling through some pebbles and shooting them into the woods. Jasper bought the car a few months before he found himself shipped out and trusted his future wife with his most prized possession. “Where do you come in on that list?” Ethyl asked with a smile and a bit of attitude. Ethyl relented and let go of the gas a little, taking the turns a bit easier. They drove the little powder-blue bug another mile or so until she came up to a bend in the road just before an old bridge. A picturesque clearing filled with wildflowers lined the grassy spot where Ethyl stopped the car. “Lord no! I’m not sleeping in a tent. We’re making it tonight if it kills us.” Ethyl let a knowing smile grow on her face. She knew just how to manipulate her city friend. The woman was clearly afraid of nature. 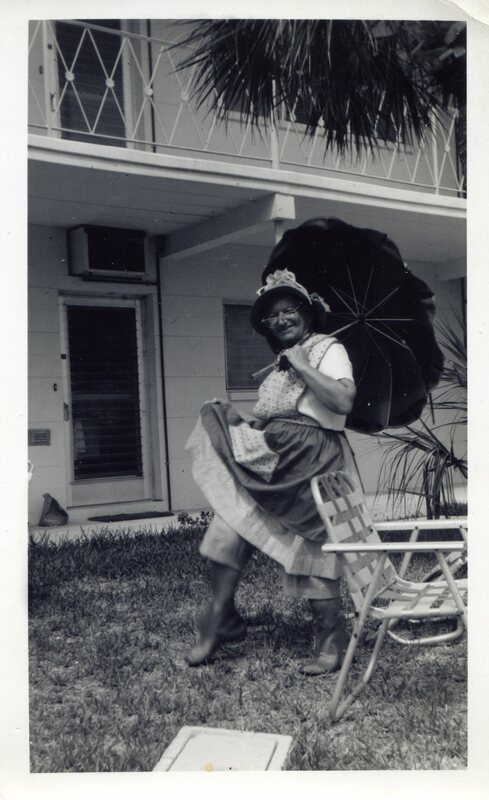 Bertha got out of the car, removed her cardigan and fixed her flower-print dress. After checking both shoulder straps, making sure they were just right, she threw her cardigan onto the car and pulled a blanket out of the back seat. “Oh you country bumpkin…what do you know!” Bertha smiled, and Ethyl laughed quite loudly, letting it echo through the trees. She was relieved to see her friend loosen up a bit. Bertha giggled as she sat down on the blanket with the basket. Meanwhile, Ethyl took out her satchel and started rooting through it for a pen and paper. “Oh no, is the master author at it again?” Bertha teased. Ethyl stuck out her tongue and sat on the log. Her scribbling on the pad of lined paper reverberated through the woods, disrupted only by the occasional sound of wrapper rustling as Bertha set up their lunch. Once she had the sandwiches out and spoons in the small container of potato salad, she waited patiently for her friend to finish. She put her hands behind her head and leaned back against the car, looking up at the perfectly blue sky. Ethyl finally finished and joined her on the blanket. “Say what you want about the city, and I will, as you know, I don’t know that I’ve ever seen the sky such a beautiful blue,” Bertha said. Ethyl dug into the potato salad and nodded. As she tried to speak a small piece of potato fell to the blanket. “Mhmm,” she said as another piece fell to the blanket. She picked it up, inspected it and popped it into her mouth. “Such class. It’s a wonder you were raised on a farm! I would think you came from the most fabulous finishing school in Paris!” Bertha raised an eyebrow at her friend, waiting for a response. “Just wait until I go pee in those woods right there, then we’ll see who is refined,” she said, watching Bertha shudder a little. Ethyl smiled again at her friend. They continued to eat when a bug landed on Bertha. She screamed and dropped her sandwich onto her plate as she rushed to get it off her arm, flailing like an insane person. Ethyl just remained calm and continued eating. Bertha finally got rid of the bug and stood. 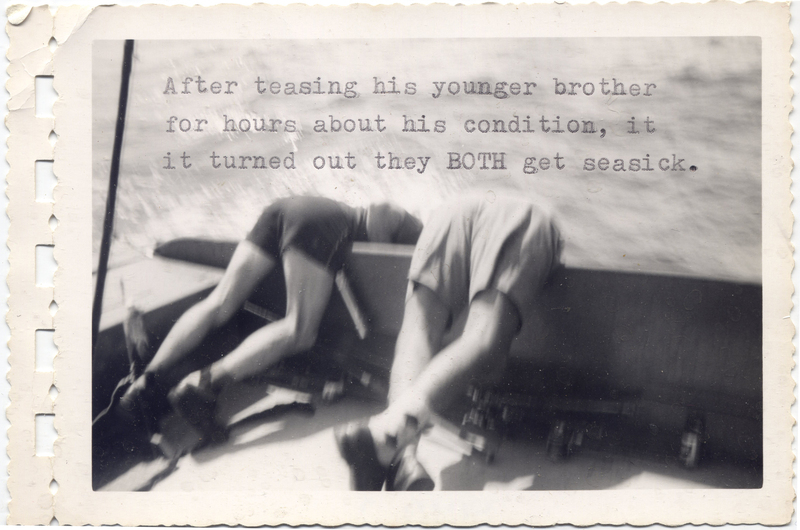 The Boating Trip is part of my ongoing series of flash fiction stories typed onto vintage photographs using my antique typewriter. If you like it, enter the contest to win a personalized piece here. And check out my Etsy for original prints and the book collecting around fifty of my images. Road Trip, a new flash fiction on vintage photograph project!